uLinksysCam allows the user to remotely monitor live video feeds with an incredibly intuitive touch screen user interface for Linksys network cameras. Unlike most IP camera applications; it not only gives the user professional monitoring capabilities with face and motion detect but enables to quickly and easily add new models right after user’s request through our open architecture software. Now view what your camera’s lens see virtually from anywhere with Wi-Fi coverage or even cellular networks. Please refer to the screenshot below to get a better understanding of what the app is all about. We will take you through the step by step procedure on installing the app in case you have the WVC210 IP camera. 6. IP or DDNS: Enter IP address or DDNS URL without “http://"
8. Function Setup: toggle Resolution, Pan Tilt options ON/OFF etc. 10. Tap on Common Settings: Passcode Lock, Screen Timeout. “It works like a dream! It's great when we are away and I can check the house also check to see if I forgot to close garage door. 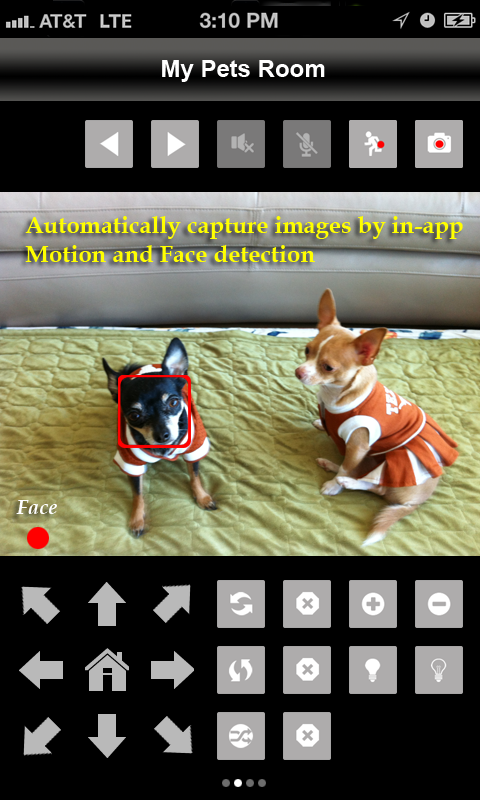 This is an awesome app I could not find anything that would work with my IP Cameras"